High school students from around Southeast Alaska met in Juneau last week to explore careers in behavioral health. The state has a shortage of workers in these fields, and there’s a push to recruit Alaskans to come back after college and do those jobs in their home communities. Holli Davis is a senior at Petersburg High School. She’s been thinking a lot about what she’d like to do in the future, and right now she’s considering social work. She wants to work with kids. 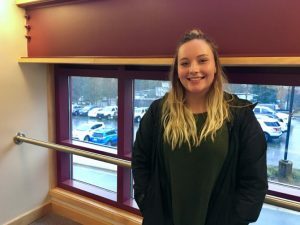 Along with 18 other teens from the region, Davis spent a week in Juneau for Behavioral Health Career Connections, a program for students to learn more about careers in behavioral health. The field includes jobs like counselors, psychiatrists, social workers — anyone who works with mental health or addiction. The students took field trips and got to talk with professionals during their time in the state capital. 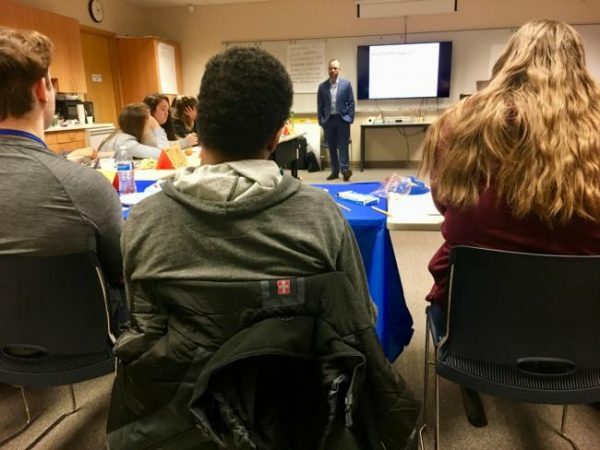 They also did an eight-hour, hands-on training to get certified in mental health first aid, so they’re now better-equipped to help someone struggling with anything from a panic attack or suicidal thoughts to substance withdrawal. Thanks to a federal grant through the Carl D. Perkins Act, the whole program was free. Joan Pardes is the director of the Southeast Alaska Area Health Education Center, which organized the week-long event. 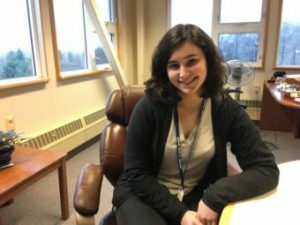 “The goal of this program is to really pull back the curtain of behavioral health careers,” said Pardes, adding she hoped it would show students that these are achievable — and often well-paid — career options. It’s part of a larger mission to support more health care workers in Alaska — especially in rural and underserved areas, where there aren’t enough providers to meet communities’ needs. According to the Alaska Division of Public Health, that’s true in most of the state. Sahara Kilic has seen it firsthand in Skagway. She plans to attend college out-of-state in the fall, but she said she can see herself coming home. Andy Jones, director of the state’s Office of Substance Misuse and Addiction Prevention, said it’s encouraging to see the students so engaged. He talked to the group about the opioid epidemic. Jones said he loves working with students because they’re not afraid to ask tough questions, like how does someone getting out of prison find a place in a small community? And how should the community respond? The students have a lot of hope, too. But right now, first thing’s first: figuring out college. Both Davis and Kilic came to the program in Juneau with questions about scholarships and what to study. Davis is also planning to leave Alaska for school. But she said she loves Petersburg, and she has a feeling she’ll be back.